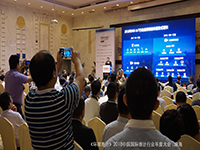 After nearly six-month preparation, METERINGChina Conference & Exhibition 2018 has closed successfully in Zhuhai on April 27. 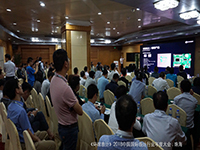 Under the constant convergence of power, water and gas industries environment, the conference continued the same model as last year, three industry events held at the same time. With the advent of early summer in Zhuhai for a full week, we hope you enjoy the beauty and obtain gains. 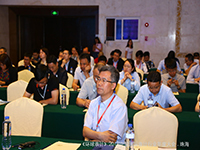 In order to promote the development and convergence of power, water and gas industries and offer the delegates an all-round interpretation, the agenda of METERINGChina 2018 is mainly designed on forward-looking topics of meters and extension industries in power, water and gas Industries. A global leader in the design and manufacture of advanced sensor solutions. Leading manufacturers around the global rely on ams' sensing know-how for advanced systems design. For ams, "Sensing is Life", and our passion is in creating the sensor solutions that make devices and technology smarter, safer, easier-to-use, and more eco-friendly. ams has been focusing on ultrasonic flow metering technologies and SoC products for more than 20 years. Fujitsu Electronics (Shanghai) Co., Ltd. (FES) was established in August 2003 as Fujitsu's semiconductor business representative in China. 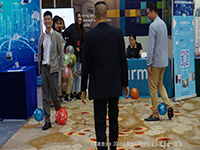 Headquartered in Shanghai, it has branch offices in Beijing, Shenzhen and Dalian to provide sales and service support to customers throughout China. Goldcard Smart Group Co; Ltd.
GoldCard is a leading provider of intelligent gas solutions,Stock name: GoldCard, stock code: 300349.We adhere to the basic innovative technologies with the concept of striving for excellence, using advanced automated equipment, lean manufacturing and the MES information quality tracking system for creating high-level products. SUNTRONT Technology was established in 2000 with a registered capital of RMB?530 million. In August 2011, Suntront had a successful IPO public listing on the Shenzhen Stock Exchange (Stock Code: 300259). We hold more than 700 Chinese national patents and software copyrights. We helped create thirteen Chinese national industrial standards, and had passed a number of Chinese national certification. Semtech’s LoRa devices and wireless radio frequencytechnology is a widely adopted long-range, low-power solution for IoT thatgives telecom companies, IoT application makers and system integrators thefeature set necessary to deploy low-cost, interoperable IoT networks, gateways,sensors, module products, and IoT services worldwide. IoT networks based on theLoRaWAN™ specification have been deployed in over 100 countries and Semtech isa founding member of the LoRa Alliance™, the fastest growing IoT Alliance forLow Power Wide Area Network applications. Visit Semtech and LoWan at booth 206to learn more. Semtech's LoRa devices and wireless radio frequency technology is a widely adopted long-range, low-power solution for IoT that gives telecom companies, IoT application makers and system integrators the feature set necessary to deploy low-cost, interoperable IoT networks, gateways, sensors, module products, and IoT services worldwide. IoT networks based on the LoRaWAN? specification have been deployed in over 100 countries and Semtech is a founding member of the LoRa Alliance?, the fastest growing IoT Alliance for Low Power Wide Area Network applications. Visit Semtech and LoWan at booth 206 to learn more. Arm technology is at the heart of a computing and connectivity revolution that is transforming the way people live and businesses operate. From the unmissable to the invisible; our advanced, energy-efficient processor designs are enabling the intelligence in 100 billion silicon chips and securely powering products from smartphones to supercomputers, medical devices to agricultural sensors and base stations to servers. With more than 1,000 technology partners including the world's most famous business and consumer brands, we are collaborating to drive Arm innovation into all areas compute is happening from the chip to the network and the cloud. Beijing Elehouse Technologies Co., Ltd.
Beijing Elehouse Technologies Co., Ltd, founded in May 2004, is a high-tech enterprise registered in Beijing Zhongguancun Science Park. Its main scope of business is in research of smart meters AMR and billing system. It provides major domestic smart meter manufacturers with smart meters electronic modules and chip designs with advanced technology and stable performance. Meanwhile, it also helps utilities with AMR and billing system planning and technical plans. 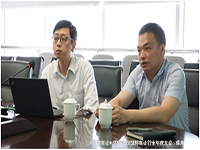 Elehouse is marching ahead with strong R & D strength, scientific management system and rich experience. Xi'an Prepaid Meter Technology Co., Ltd.
China IoT Organization Group is the company core of creative "electricity water gas heat sensor", completely replaced Ammeter, water meter, gas, meter, heat quantity meter. Supported by modern microelectronics and NB-IoT communication technology, we acting as pioneer in proceeding "de-instrumentation" all across the world. Leading highest technical and service standard, performing perfect international trade settlement, Our pace of construction of intelligent city is to advance. 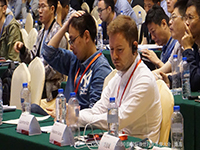 China IoT Organization Group mains on demand-side of micro economy tactical revolution. With innovative operation pattern combining goods, materials, logistics and IoT to establish new emerging economies, we greatly reduce construction costs, production costs and living expenses. 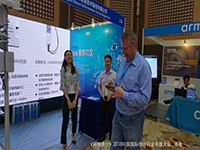 Zhongshan B&T Communications Technology Co., Ltd.
Zhongshan Boancom Communication Technology Co., Ltd. is a wholly owned subsidiary of Shenzhen Boancom Technologies Co., Ltd. was established in May 2014 with a registered capital of RMB 25 million. It's one of the few enterprises to take the lead in antenna customization service in China, It is an emerging high-tech enterprise integrating wireless communications, antenna research and development, design and production, we focused on wireless terminal antenna, Wi-Fi Module design and also RF cable assembly. Saft is a world specialist in the design and manufacture of high-tech batteries for industry. Saft batteries are used in high performance applications, such as industrial infrastructure and processes, transportation, space and defence. Saft is the world's leading manufacturer of nickel batteries for industrial applications and of primary lithium batteries for a wide range of end markets. The group is also the European leader for specialised advanced technologies for the defence and space industries and world leader in lithium-ion satellite batteries. Saft is also delivering its lithium-ion technology to new applications in clean vehicles and renewable energy storage. For metering devices, Saft's portfolio of primary and rechargeable Lithium technologies provide the optimum solution for each customer offering long lifetime (20 years and more), high energy density, ability to reliably operate under extreme temperature conditions, low self discharge rates and high voltage readings compatible with electronic cut-offs. Vertexcom Technologies, Inc. is a world-class fabless semiconductor company focusing on the design and development of smart grid and Industrial IoT solutions. The team has successfully developed G3-PLC and Wi-SUN certified platforms, delivering future-proof and robust connectivity and performance. Vertexcom Technologies provides state-of-the-art wired and wireless communication solutions, including broadband power line communication, single carrier power line communication, wireless communication, and PLC + RF dual-mode solutions. Applications in addition to the utility industry, smart grid and energy management, IoT applications are also extended to smart home, smart cities, industrial monitoring, etc. Chongqing Chuanyi Automation Co., Ltd. (Since 1965, Shanghai Stock Exchange: 603100) is one of China's major state-owned enterprises, and is listed in the state's first batch of pilot enterprises on management system for integration of informatization and industrialization. Enterprise concentrates on development and manufacture of local measure instrument, and serves in the areas of procedure industry, municipal engineering, environmental protection, nuclear power, military project, etc. Founded in Shanghai on May 8th 2014, HUADA Semiconductor Co., Ltd. is a platform forged by CEC by integrating its subsidiary semiconductor companies with the purpose of creating a semiconductor group company with global competitiveness. HUADA Semiconductor, one of the top ten IC design companies in China, focuses on IC design and relevant solution development, occupies leading market share in analog circuit, LCD driver, SmartCard and security chips and is ranked No. 1 in China, top 5 globally, regarding the shipment volume and revenue of SmartCard and security chips. Shenzhen Witlink Co., Ltd. is a hi-tech enterprise that integrates products R&D, manufacturing, marketing and service, striving to become the world's leading equipment, system and service provider in the energy and IoT industry. The wireless and PLC communication technologies, which are developed independently by the company, can be widely applied to smart energy, smart home, intelligent transportation system, intelligent logistics, intelligent agriculture/medical treatment/finance/lighting/retail, etc. Asean Technology Co. is the sole agent in Hangkong and Main land of China of the TADIRAN batteries Co. from Israel, Which is the leader that serve the AMR market of gas and water meter. Multi-innovation Technology of batteries in TADIRAN can supply client the solution of safety ,reliability and long life(beyond 10y) for AMR. The batteries also can serve AMR via GSM. Yooyeah (GD) Smart Technology Co. Ltd.
Yooyeah Smart Technology is located at national high tech. industry in Song Shan Lake area of DG. Major on molding, plastic injection, plastic products assembling with related smart data log research and software design. Based on industrial internet and intelligent data terminal, we provide our customer with in depth tailor-made intelligent hardware / software products. Plastic parts manufacturer for meters with over 10 years' experience supplying to European famous brands. Rich experience of PPS, PES, PA+GF mold and injection. Using plastic instead of cooper/metal, brings consumer green products with non-toxic, no pollution, lighter and more economic. CHEERZING is a Machine-to-Machine integrated solution provider who is dedicated in the area of location-based service and wireless communication technology. 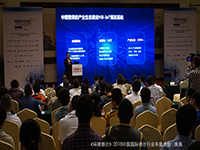 CHEERZING's product like wireless and positioning modules，terminal devices and software technology service are independent designed and customized which have been widely applied to areas like Smart Home，Smart Transportation，Smart Metering，Wireless Payment and Smart Healthcare ect.The accumulation shipments of the wireless and positioning modules has almost has almost reached fifty million pieces at the end of 2017 Q3. Shenzhen weili valley wireless technology co., Ltd.
Shenzhen weili valley wireless technology co., Ltd. Was established in 2005, is a domestic fast growing professional antenna solution provider. The company has a registered capital of 37.4 million, with more than 400 employees, among which more than 280 r&d personnel. Company is mainly engaged in research and development, the type of meter antenna, networking, intelligent household products antenna, wearable antenna, antenna, beidou navigation terminal antenna, unmanned aircraft, aerospace products antenna, laptops, wireless charger, NFC, POS machines, antenna and other wireless terminals. These include nb-iot, LORA, GSM, WCDMA, CDMA2000, td-scdma, LTE, GPS, Bluetooth, WLAN, Wifi, WIMAX, RFID and other antenna products. 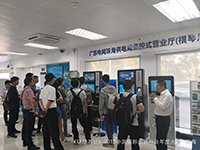 Shenzhen HAC Telecom Technology Co., Ltd.
Chengdu Boost Information Technologies Inc.
Chengdu Boost Information Technologies Inc. was founded in April 1999, with a registered capital of RMB 60.914 million, and was listed in the National Equities Exchange and Quotations（NEEQ） in October 2015. Our company is committed to developing the IOT system and communication equipment with propriety intellectual property rights and focuses on the application of IOT industry. 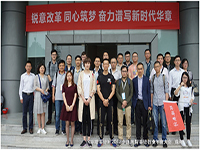 As the full member of International LoRa Alliance and China LoRa Application Alliance, our company is the pioneer in domestic field engaged in LoRa technology development and application research. 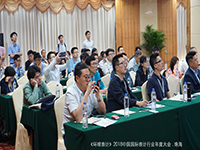 Xi'an Duanqian Intelligent Technology Co., Ltd.
Xi'an Duan Qiang Intelligent Technology Co., Ltd. is located in Caotang Technology Industrial Base in Xi'an Gaoxin District, Shaanxi Province. It is a high-tech company specializing in the design, development, production and service of intelligent instrumentation. After many years of technology accumulation, with "Smart Water" as the core, our company developed ultrasonic water metering module, high frequency card metering module, photoelectric direct metering metering module and NB-IOT/LORA wireless remote transmission module, etc. Has reached the leading domestic level, and has been widely praised by users. Shandong KEDE Electronics CO., Ltd.
Shandong KEDE Electronics CO., Ltd. is a high-tech enterprise that combines product development, manufacturing, practice teaching and product distribution into one. The leading products include intelligent water meter, smart ammeter, ultrasonic heat meter, network power meter, etc. The company is based on advanced technology, oriented by market demand, and set up marketing center in China. Nationz Technologies Inc. was founded in 2000, and later enlisted on Shenzhen Growth Enterprise Board in April 2010. Nationz Technologies Inc. is a leading IC design enterprise of Security Chips. 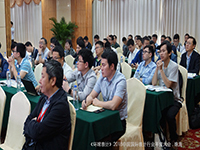 ShenZhen FeiYuXin Electronics Co., Ltd.
Panelists from power, water and gas utilities and leading smart metering vendors as well as IoT & IT companies. 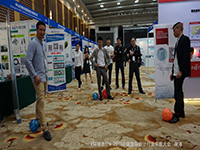 Ying CHEN, Zhuhai Integrated Energy Co., Ltd.
Songqiang XU, Jiaxing Gas Group Co., Ltd.
Yuchen LU, Shenzhen Intelligent Water Co., Ltd.
John ZHANG, Goldcard Smart Group Co; Ltd.
Zhuhai is a city with advanced communication technology, which was quite suitable for the conference them. We scheduled three sites as follows. Zhuhai Water Environment Holdings Group has taken the lead in water and environmental protection. The visit includes the dispatch center, hotline center, and on-site smart meter application discuss. Founded in 1935, Macau Water's excellent water supply service has successfully obtained the "Notarized Contract for the Extension of Public Services for Water Supply in the Macao Special Administrative Region", approved by the Macau Special Administrative Region Government for a period of 20 years. 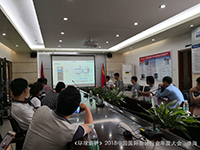 The visit includes Qingzhou Waterworks water treatment process, the central control room (including monitoring and control), and customer service center. 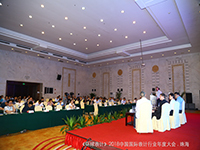 Zhuhai Power Bureau is a large-scale enterprise under the Guangdong Power Grid, which is mainly responsible for the operation and management of power grids. On-site visit includes centralized business halls, work demonstrations, power wireless private network base stations and distribution automation access. On-site visit includes centralized business halls, work presentations and communication. Finally, let me take the opportunity to thank all attendees including speakers, conference delegates, sponsors/exhibitors, visitor and support organizations for your efforts and supports to the successful event. We do believe that SMART is potential, however, people in the different industry chains has different understanding and take different action. As Metering China advocated, systematic design and whole picture thinking are very important to the success of project. Correct understanding of the market and its chain would be much helpful to those who are pushing industry forward SMART gainful and shared during the process. We are looking forward to seeing you again in 2019.